Enhance your social media initiative by integrating your inventory to your Facebook business page. Market your inventory while connecting with past, present, and future customers. 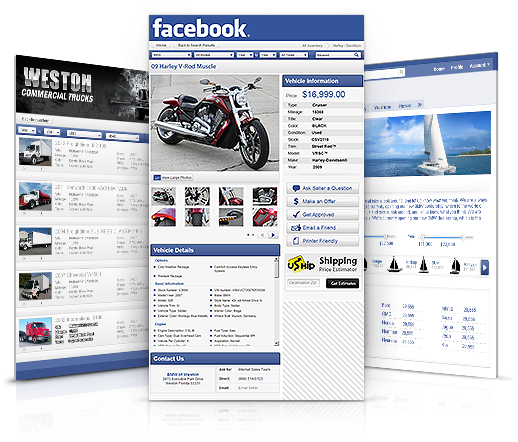 Your page visitors can easily browse your inventory without ever leaving Facebook.com. 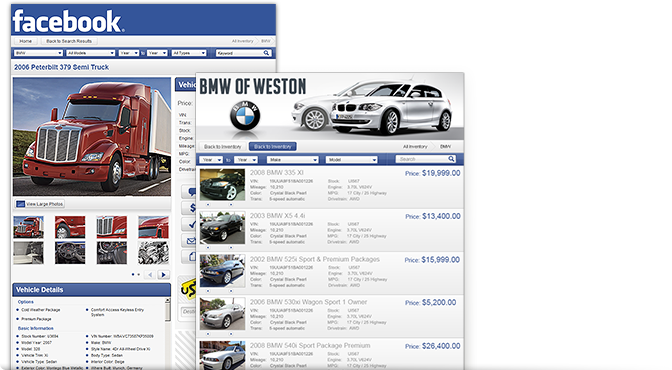 Vehicle presentation pages contain multiple lead generating contact forms including a secure credit application, XL image viewers, and video integration. All changes made in your Dashboard will sync with your Facebook inventory presentation. With vehicle wall posting, you can cherry pick those special vehicles you want your fans to notice. 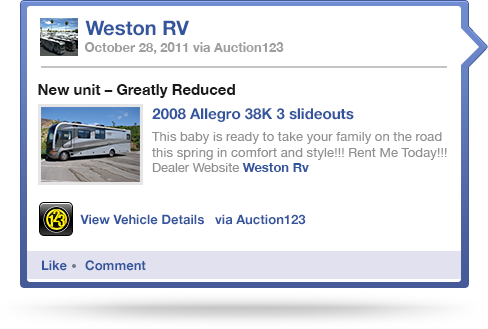 Wall posting a unit from your Auction123 Dashboard will push your message, an image of the vehicle, and a link to the full Facebook presentation to the News Feed of all your fans! Update your Facebook page without needing to log into your page’s admin account. 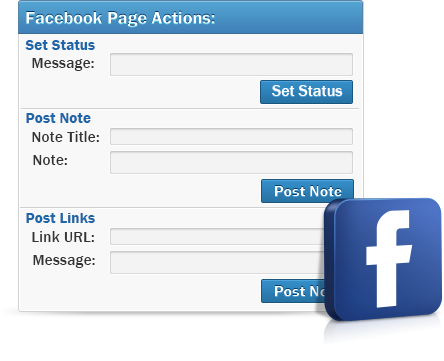 Integrated with the Auction123 Dashboard is the ability to perform common Facebook page actions such as updating your status, posting a link, or posting a note.